/UCW/ Effective Immediately current cryptocurrency altcoins and initial coin offerings now have the ability to list their coin or token within the Megahoot Vault Crypto Index free of charge. The Crypto Index features the symbol, market capitalization, pricing, volume, circulating supply and other relevant information for the general public. Some of these coins or tokens have found it difficult to near impossible to have their cryptocurrency listed in an index or exchange until now. The Megahoot Vault Crypto Index was created as path for the general public to have access to current trading information on a coin or token they may own, may want to track or want to compare to other coins or tokens listed in the Crypto Index. There is additional development being done to the Megahoot Crypto Index platform which will display valuable information for the general public, the Megahoot Crypto Index can be viewed at www.megahootvault.com. Requesting to be listed in the Crypto Index is fairly simple, the coin must have trading volume in order to calculate pricing and if its not traded on a public exchange then an airdrop is required to have it traded on a Peer to Peer basis in the Megahoot Vault. 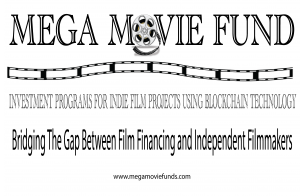 To request to be listed please go to https://megahootvault.com/request_listing.php. A coin or token that is approved to be listed in the Crypto Index can easily request to be allowed to trade peer to peer within the Megahoot Vault. 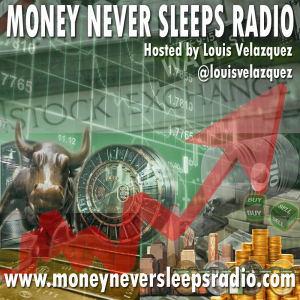 The dynamics will vary from one coin issue to another but the process is fairly simple. 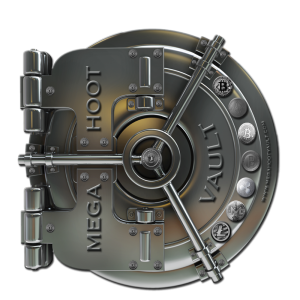 The Megahoot Vault itself was created as a platform where various altcoin holders would have the ability to exchange one altcoin for another without the need for an intermediary to settle a transaction. The Megahoot Crypto Index platform serves as a useful informational tool which displays the symbol, market cap, current price, volume and circulating supply of the various altcoins listed such as Bitcoin, Bitcoin Cash, Ether, XRP, Pecu Novus, XMG, Litecoin and others. An altcoin listing within the Megahoot Crypto Index is what allows an altcoin to be considered exchange eligible for other altcoins on a Peer to Peer basis within the Megahoot Vault. The peer to peer cryptocurrency exchange part of the Megahoot Vault does so much more than just allow altcoin holders to exchange one coin for another. It will allow for altcoin holders to place their coins in their own dedicated digital safety deposit box for safekeeping and hold highly sensitive executed digital documents such as real estate agreements and other transactional documents. Some of the benefits of utilizing the Megahoot Vault on a Peer to Peer basis is the cost savings, most transactions offer little to no coin to coin transactional cost, the Megahoot Vault does not collect a fee for transactions. Additional benefits include the Megahoot Safety Deposit Box which will hold various cryptocurrency assets, hold highly sensitive digital documents and assets, the Escrow System which allows for coins to be placed in escrow on a timed basis for business transactions and the internal transactional messaging system. 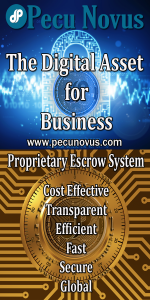 The Escrow System will currently only allow Pecu Novus coins to be utilized for transactions requiring the use of an escrow account. These transactions will automatically register on the Pecu Novus blockchain along with any references to secure executed digital documents held within the vault account holders Megahoot Safety Deposit Box. The Escrow System will expand over time to allow other altcoins to benefit from the highly secure Escrow System. The Megahoot Vault features SHA512 bit encryption and proprietary security protocols are used for the highest level of security. Digital documents are heavily encrypted to provide an additional level of security for vault account holders. The Escrow System utilizing Pecu Novus coins has been effectively used for transactions in industries such as manufacturing, import/export, real estate, automotive, fashion, consumer goods and gaming. 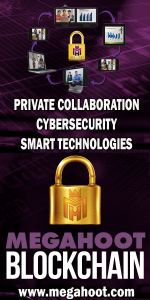 Megahoot is a Technology Company focused on secure private collaboration platforms for business and personal use, incorporating ephemeral messaging, high security, use of cryptography and secure mobility. Products being introduced in 2018 include a digital vault for highly secure holding of various cryptocurrencies, loyalty tokens and information on/off the Megahoot Network. With the use of blockchain technology Megahoot will be venturing into various industries from smart homes to health care and more utilizing its blockchain technology platform that will allow corporations globally to create dedicated blockchain networks for their businesses for everything from accounting, logistics, supply chain management, security, education and much more. There will also be the ability to create loyalty tokens and coins aka cryptocurrency on the Megahoot Network. Megahoot LLC is a wholly owned subsidiary of FGA Partners. For more information on FGA go to www.fgapartners.com . For more information on Megahoot go to www.megahoot.com.